Can someone tell me which exact file do i dnld from HP site . i got the same unit. i upgraded the flash to a 2gb Transcend CF model TS2GCF133 and i am using with an IDE adapter. It works ok. I can see it in BIOS as primary IDE i can flash it with the image from HP but after it loads up, right before logging in it gives me this error about license. What can i do? what are the steps? You upgraded the flash but what about the RAM? 192 is not enough which is stated in "system requirements" on the link above. I have 256 Megs of RAM. I understand that stroths version is not working on 256. My problem becomes bigger when i tried to flash it using an HP release. Everything flashes ok ... boots up... but it doesn't pass the license screen. There is an error that won't allow me to login to windows. I can login into safe mode WITHOUT networking to make some changes. as soon as i enable networking i get the same license error. Posted: Tue Jan 31, 2012 12:40 am Post subject: T5730 Windows XP Professional Drivers NEEDED! I installed a 40gb 2.5 hard drive w/ 44pin ribbon in my t5730 and installed Windows XP Professional SP3. Everything is working except there are two devices in the device manager. The "SM Bus Controller" and The "Video Controller (VGA Compatible)". I know there's got to be something out there that will work, I just can't find it. Please Help! Posted: Sat Mar 31, 2012 6:07 pm Post subject: T5710 800/512/256 XP Pro SP3 Drivers? So where has anyone else found drivers for a standard (or lite) version of XP install? This then shows ALL drivers on the system. 1. 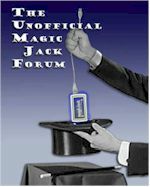 Is there a way to prevent MagicJack from automatically running an update? My fear is that my 88mg of free space might not be able to handle it. 2. I notices that when I unplug the unit and plug it back it, it doesn't always respond to the power buttone to turn it on. It seems like I have to keep it unplugged for a but of time any one else notice this? 3. Is there a setting in the BIOS that I need to set to make sure this thing powers back on if the power is interrupted? For what is this connector? I have it on my T5700. I can't find the description in manual. I have been following the Thin Client usage for MJ. I have several of these and have successfully upgraded two TC's to run MJ...one with a larger solid state disk and another with a 6 gig thumbdrive. One of the TC's also runs Internet Radio and the output goes to a Ramseys FM25B broadcaster for my whole house usage. If anyone knowledgeable is still following this thread, what ports/programs do you have opened on your security for just the MJ to operate? What services do you have enabled/disabled? I think it is SO cool to use the TC with the USB MJ! I'm not knowledgeable to much of a degree, but have been using MJ on a Wyse TC for 2.5 yrs. Fabulous call quality, virtually no issues. I recall setting up my modem with two ports specified for MJ, but I don't recall which ones, and I'm not home to check just now. I seem to recall MJ themselves provided the port info on their website. Other than that, I have FBWF on the Wyse, but no other active security beyond what a basic router setup provides. Since cheap thin clients became more than capable of handling the current MJ devices, this forum has seen a big drop in interest. I do not have great call quality...I have a lot of echo issues. I've tried many different solutions but they are still there. That's one reason why I was wondering about the port setup. Maybe my Internet speed is an issue, but most things are pretty fast. Also, which cheap TC devices are you referring to? When I've had call quality issues related to my hardware, it's always been stuttering - holes in the stream. In 2011 when I started with MJ, the sub-$75 thin clients were VIA C3 or AMD Geode CPUs at sub-1GHz, often with 512MB or less flash and 512MB or less RAM, and the MJ dongles and software were evolving from more primitive levels as well. This forum was popular for the tweaks that helped those marginal components come together. With the subsequent VIA C7 and 1GHz AMD Sempron models, the XPe versions typically had the MJ-adequate minimum 512MB of flash and RAM, and I think the hardware requirement issues became a past matter. MJ came out with the + at about that time, and that may have also been why the TC interest dwindled. For awhile now you can get a Wyse V90L/V90LE (C7) and the HP T5730 (Sempron) for $25 now on eBay and the better Wyse C90LE (C7) or HP T5740 (Atom) for $50 or so. I have a 4th Gen dongle on a C90LEW. I've only once seen a problem with it in more than two years, and that was recently when I downloaded a torrent that hogged all my network bandwidth. I have medium level DSL service through ATT, but don't do much that uses network bandwidth, so I can't speak to that factor, aside from the extreme torrent experience. I'm not savvy enough to speculate about the echo you get, are you running on a TC? ...are you running on a TC? Yes. 1 Ghz HP w/512 and a way-over-sized 6 GB thumb drive. Took me three weeks to figure out how to adapt the drive to the TC. I have forgotten how I did it!